Why not a tourist spot? In the narrow streets of the walled city, you will come across giant monuments and hidden treasures of architecture. If we start exploring a route, we will never finish our quest of searching more and more. 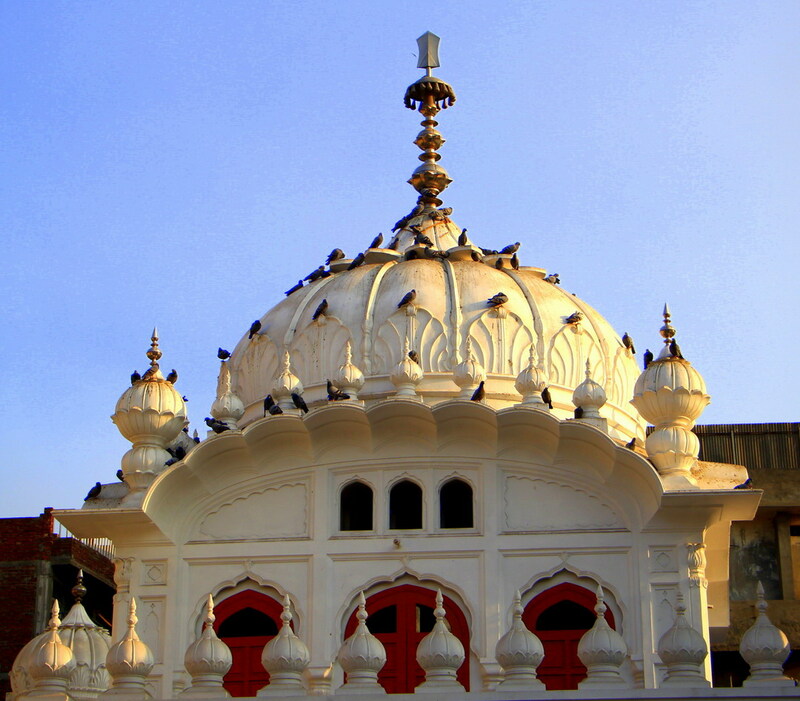 The same is the case with this Sikh religious monument hidden inside the densely populated bazaar of Chuna Mandi. 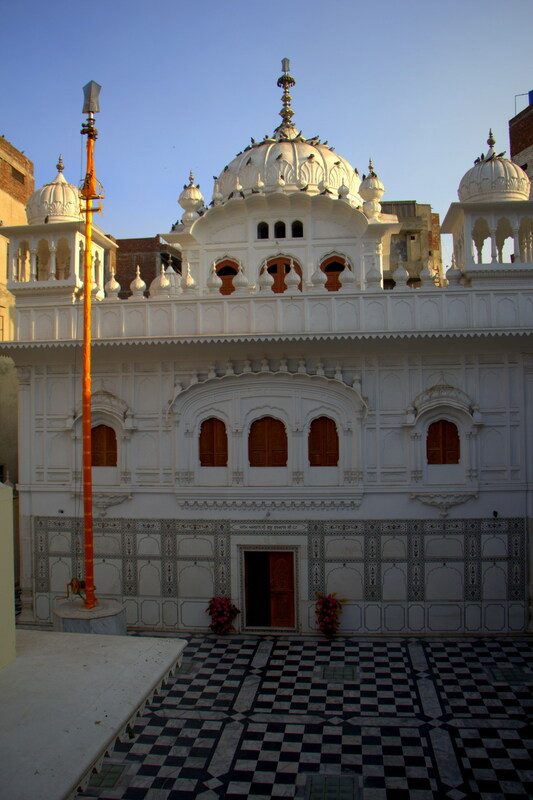 A few yards from the Chuna Mandi inside the walled city of Lahore is the Janam Asthan (Birth Place) of the fourth Sikh Guru Ram Das. He had spent the first seven years of his life at this very place. 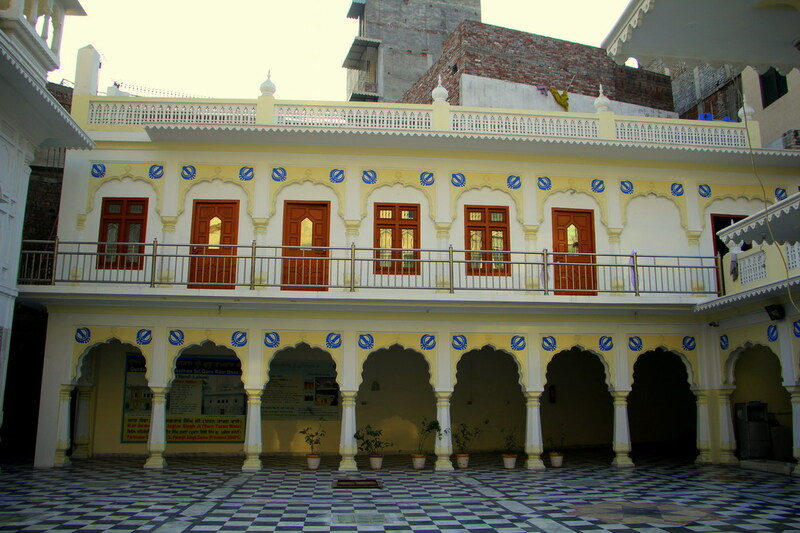 The ancestral house of the Guru was small in size, so Maharani Nakain requested Maharaja Ranjit Singh at the time of birth of Kharak Singh for permission to rebuild this historical place. 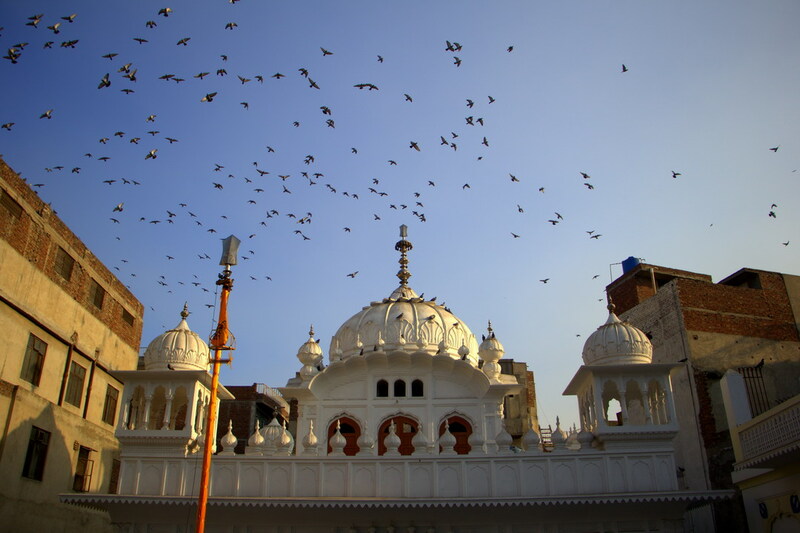 Agreeing upon the humble request, the Maharaja purchased the surrounding buildings from the Qazis and got a Gurdwara of dimensions 122′-6×97′ built which was somewhat similar to the Harmandir Sahib, Amritsar. This Gurdwara is an amazing place to be at. 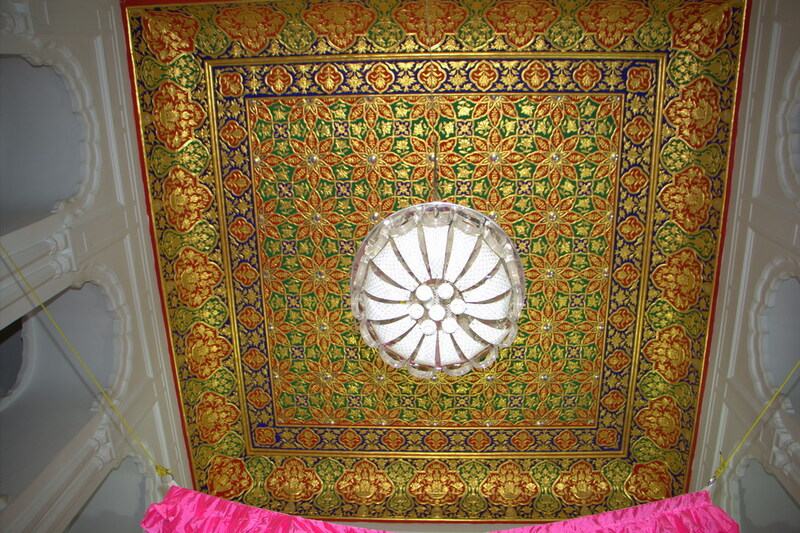 All built in white marble and decorated with pietra dura work, it is a majestic monument. 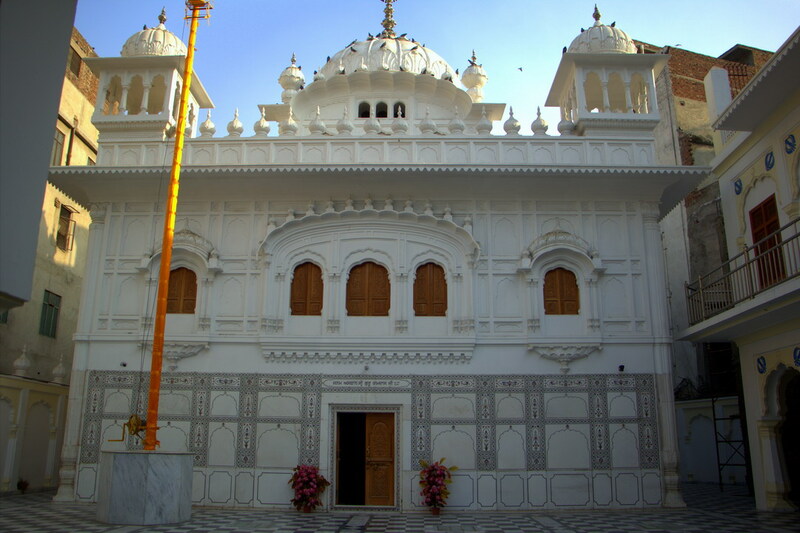 On the west is an open yard and Nishan Sahib is fixed on the south-west corner. 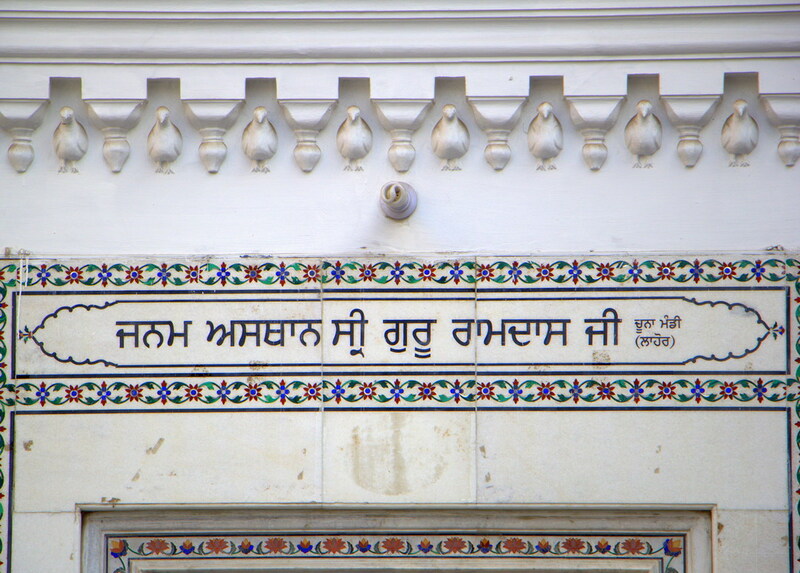 Each place inside the Gurdwara is decorated aesthetically and the love of its builders reflects in every inch. Presently this Gurdwara is with the Evacuee Trust Department of Punjab is very well maintained. 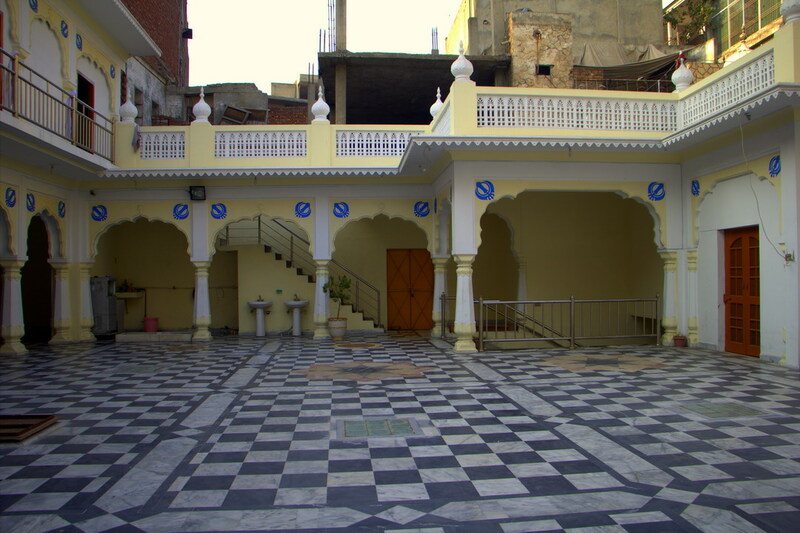 It is not at all in shambles like the Gurdwara of Bhai Vasti Ram or Jhingar Shah Suthra. It is said in Sikh history that at the time of partition eighteen Sikhs faced martyrdom there. Every year thousands of Sikh Yatrees come and visit this place, and may be this is one reason that it is still preserved and in safe hands. 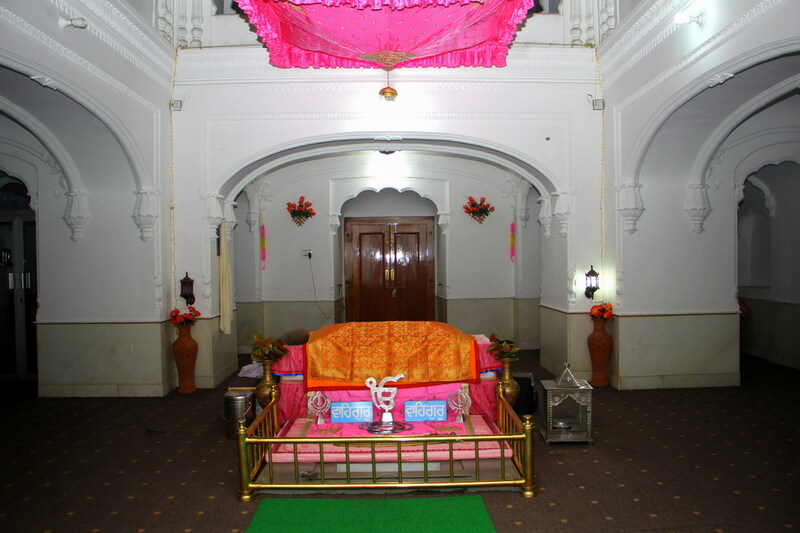 The Granth (Holy Book of Sikhs) is also placed in this Gurdwara and holy recitation is carried out daily. 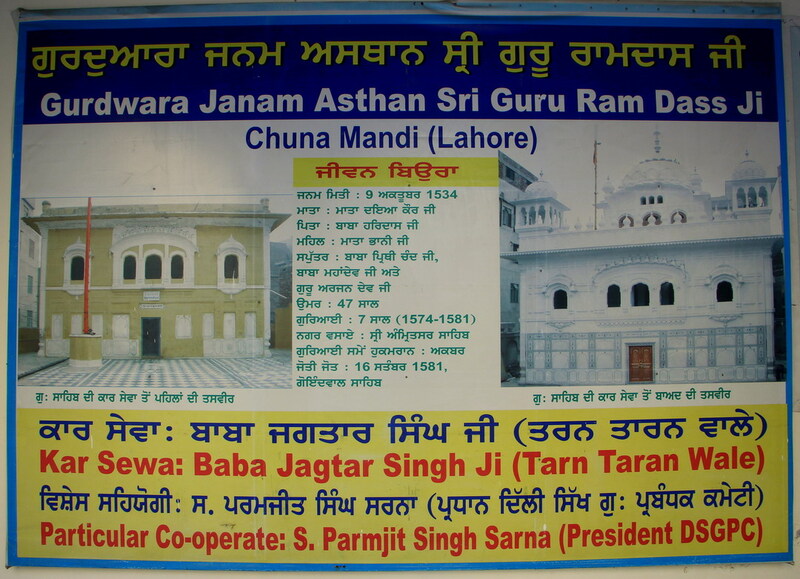 Guru Ram Das was born in Lahore into a Sodhi Khatri family residing in Mohalla Chuna Mandi. By all accounts, the date of his birth was 24 September 1534. 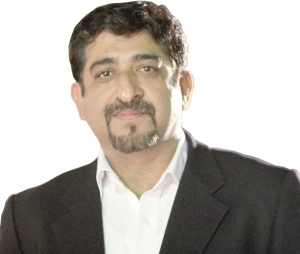 His parents Har Das and Daya Vati were known for their honest and pious living. Ram Das was popularly addressed as Jetha, being the first-born of his parents (Sanskrit word Jayeshth means the first). Sikh history states that he was of fair complexion, handsome figure, pleasing and smiling face and not disposed to weep or cry in the manner of ordinary children. From the beginning his attitude was worldly, and he felt happiest to be in the company of holy people. He is the Guru who established the city of Amritsar. Guru Ram Das was not merely a constructive genius who planned and founded a new city and instituted an original missionary order but also a poet of great sensitivity and tremendous effect. He composed 679 hymns in varying musical measures, which were incorporated into Adi Granth by his son and successor, Guru Arjan Dev. His whole life was the embodiment of love, devotion, dedication and service. All these noble sentiments are abundantly reflected in his writings. His straight and simple message went straight to the heart and evoked the most sensitive chords of one’s consciousness. The walled city of Lahore is full of such places, the other Gurdwaras can be found in places like Chohatta Mufti Bakir, Mochi Gate, Bhati Gate and Rang Mahal Chowk. These I have to visit yet, but to my knowledge not all of them are functional. Anyhow, I was happy to see the Janam Asthan of Ram Das in a better condition. Though the monument is well preserved, one still faces difficulty in locating it. There should be some type of sign board, a plaque or a directional sign towards this monument. In my opinion, such places should be opened up for tourists in order to create religious and interfaith harmony. I was welcomed by the caretaker of the Gurdwara and the amazing thing was when he asked me for ablution. I had to wash my hands and feet before going into the Gurdwara. I think if such experiences are shared with tourists it will interest them and opening up such sights for public can generate a better positive image for Pakistan.